Teachers and parents, bring your students and kids to see the famous lightning calculator and mathemagician Art Benjamin demonstrate simple math secrets and tricks that will forever change how you look at the world of numbers. Get ready to amaze your friends—and yourself—with incredible calculations you never thought you could master, and learn how to do math in your head faster than you ever thought possible, dramatically improve your memory for numbers, and—maybe for the first time—make mathematics fun. 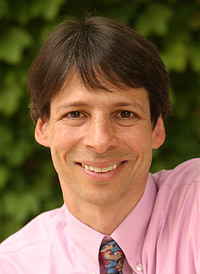 Dr. Benjamin will teach you how to quickly multiply and divide triple digits, compute with fractions, and determine squares, cubes, and roots without blinking an eye. No matter what your age or current math ability, Dr. Benjamin will teach you how to perform fantastic feats of the mind effortlessly. This is the math they never taught you in school. First come, first served at the door. Seating is limited. $8 for Skeptics Society members and the JPL/Caltech community, $10 for nonmembers. Your admission fee is a donation that pays for our lecture expenses. About fifteen years ago, the largest mass suicide on American soil was conducted by the Heaven’s Gate cult in California. While most of the media attention focussed on the events in Rancho Santa Fe, there were other connected suicides which happened in cities around the United States. In this episode of Skepticality, Derek speaks with Deborah Simpson, the sister of one of the Heaven’s Gate group, Jimmy, who was living in Atlanta, GA at the time. In his farewell letter Jimmy wrote, “It’s past time for me to go”, and soon after, took his own life to join his Heaven’s Gate brother in the ‘next level’. In her new book Closing The Gate, Simpson shares the deeply personal story of how her brother got involved with the destructive and manipulative group. It is a rare look into some of the inner workings and effects that such groups can have on the families of those involved. In this week’s eSkeptic, Dr. Harriet Hall, M.D., the SkepDoc, critiques an article from Skeptic magazine (17.2) entitled, “Depression Treatment: What Works and How We Know” (pp. 23–27) by Bruce Levine. Harriet Hall, M.D. is a retired family physician and former Air Force flight surgeon. She writes about medicine, so-called complementary and alternative medicine, science, quackery, and critical thinking. She is an editor and one of the five founders of the Science-Based Medicine blog, a regular columnist for Skeptic magazine, a contributing editor to Skeptical Inquirer, and a medical advisor and author of articles on Quackwatch.com. Her most recent book is Women Aren’t Supposed to Fly: The Memoirs of a Female Flight Surgeon. 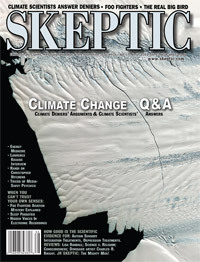 Bruce Levine’s article in the latest issue of Skeptic Vol. 17, No. 2: “Depression Treatment: What Works and How We Know” (pp. 23–27) paints a bleak view of depression treatment. He destroys all options except for the patient to congratulate himself on his critical thinking skills and to find something he can believe in. I think the reality is more encouraging: treatment can help. I think Levine goes too far when he says antidepressants don’t outperform placebos. He cites Erick Turner’s study of FDA data showing that negative studies are less likely to be published, thereby skewing the published data; but he leaves out an important part of the story. After incorporating the data from the unpublished studies on 12 different antidepressants, Turner found that every one of the 12 still clearly beat the placebo. Irving Kirsch looked at a subset of the 12 drugs in Turner’s analysis and came to a different conclusion: that antidepressants were no more effective than placebo. The difference in their conclusions hinges on the interpretation of “effect size.” It’s a bit complicated. I explained it in more detail in an article on ScienceBasedMedicine.org but basically, Kirsch used an arbitrary cutoff of 0.5, and when the studies failed to meet that mark he interpreted that as “antidepressants don’t work.” Turner looked at the actual effect sizes and found a positive effect for every antidepressant drug, with an overall effect size of 0.31. In an elegant metaphor, he explains that the published studies had sold us a glass of juice advertised to contain 0.41 liters, and the actual glass of efficacy (that included the unpublished data) contained only 0.31 liters. Kirsch considers the glass to be empty; Turner correctly concludes that the glass is far from full, but it’s also far from empty. He further points out that patients’ responses are not all-or-none and that partial responses can be meaningful. Psychiatry bashing is a popular sport. There is much wrong with psychiatry, but it doesn’t deserve all the criticism directed at it. 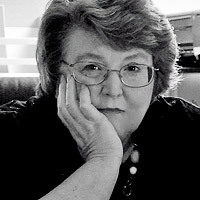 Marcia Angell was critical of psychiatry in her two-part article for The New York Review of Books where she reviewed Kirsch’s book and two others. I have critiqued her article on ScienceBasedMedicine.org, where I go into much more detail than space permits here. I’ll just make a few points. Depression is a complicated subject. The chemical imbalance model of depression is too simplistic. Drugs have side effects. They are often prescribed inappropriately for minor depression and the problems of everyday life. But conversely, many depressed patients suffer unnecessarily because they are untreated or undertreated. Severe depression is a life-threatening illness, and treatment with antidepressant medication has been shown in several studies to significantly reduce the risk of suicide. While psychotherapy is an alternative to drugs, antidepressants may be needed at first to lift the depression enough that patients are able to participate in psychotherapy. There’s a baby in that depression treatment bathwater; let’s not throw it out just yet! Topics in this issue include: Update on False Memory Syndrome; Homeopathy; Alternative Healthcare; Therapeutic Touch; Leftist Science; Mattoon Mass Hysteria; Star Trek’s Meaning; Liquefying “Blood”… Order the back issue. An excellent guide to the confusions and contradictions of alternative medicine written with clarity, integrity and authority. What works? Who can you trust? What alternative cures have positive results? What medical authorities are included in their “Top ten culprits in the promotion of unproven and disproven medicine?” Includes extensive information on the big four: acupuncture, homeopathy, herbs, and chiropractic, plus a “Rapid guide to Alternative Therapies.”… Order the book. Repressed memories of childhood sexual abuse are surfacing with increasing regularity in therapy situations. Are the growing stories of often violent and elaborate sexual abuse evidence of widespread crimes against humanity? Are this many children really abused? Can the mind really repress memories and then recall them in vivid and accurate details decades later? Or is this a social movement analogous to the witch trials of the Middle Ages, where memory is acquired and the accused are automatically considered guilty?… Order the lecture on DVD. This book presents Sagan’s prestigious Gifford Lectures on Natural Theology, in which he discusses his views on topics ranging from manic depression and the possibly chemical nature of transcendance to creationism and so-called intelligent design to the likelihood of intelligent life on other planets to the likelihood of nuclear annihilation of our own to a new concept of science as “informed worship.” Sagan’s humorous, wise, and at times stunningly prophetic observations on some of the greatest mysteries of the cosmos have the invigorating effect of stimulating the intellect, exciting the imagination, and reawakening us to the grandeur of life in the cosmos. Order the book.